Described by the Houston Press as “Robust and handsome with booming voice in full range.”, two time regional Metropolitan Opera Council audition finalist Daniel Scofield is quickly gaining recognition for the drama of his performances. This season Daniel performed the role of Ford with Pacific Opera Project and sang Wanderer in the second act of Siegfried with the Queen City Chamber Opera. An avid performer of American works, Daniel recently premiered Do not go gentle; an opera based on the life of Dylan Thomas, at the Phoenicia Festival of the Voice, and has sung Joseph de Roucher (Dead Man Walking) Pangloss (Candide) and Lord Henry Wotton (Picture of Dorian Gray) in previous seasons. 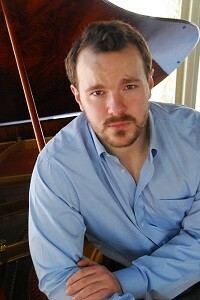 Last season saw Daniel performing with Opera Columbus as Tonio (Pagliacci) and Count Almaviva (Marriage of Figaro)and Danilo (Merry Widow), Valentin with Tri-Cities Opera, Ben in the Telephone with Opera Santa Barbara, and in the eponymous role of Rigoletto with Opera in the Heights which garnered him the praise, “He’s the finest court jester I’ve seen in years” (D.L. Groover: Houston Press). Daniel has performed Masetto in Opera San Jose’s Don Giovanni, Pistola in Opera Santa Barbara’s Falstaff, where he also covered Sir John Falstaff, and made his Carnegie Hall debut with the American Symphony Orchestra in Richard Strauss’ Feuersnot. In recent seasons he’s performed with the Santa Fe Opera, Southern Illinois Music Festival, Pacific Opera Project, Opera Idaho, Knoxville Opera, and spent two seasons as an apprentice with the Seattle Opera and Arizona Opera. This is Daniel’s debut appearance with St. Petersburg Opera Company.